Our tour starts at Mothersmilk, by the Windsor railway station. Mothers is a staple location for a relaxed start to an evening, with great cocktails, wine and beer on tap. From here, we head to the Northern platform of the Windsor railway station, and follow the track toward the city. Railway stations and lines have always been focal points for street artists of all types, including taggers, muralists and alternative artists (slaps and yarn bombing). The Windsor Station is no different, with a number of murals lining the walls on both sides of the tracks. 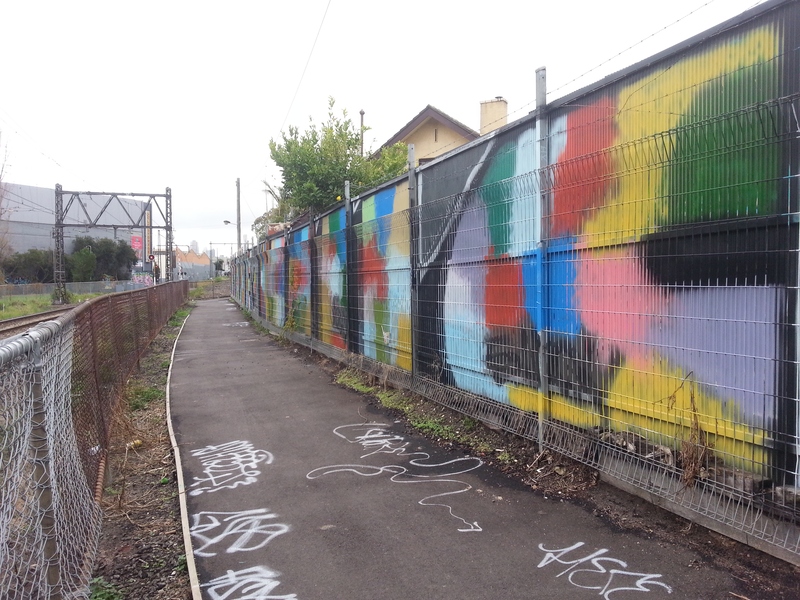 From the eye catching wall of matte colours, to the complex throw ups, this area has a large variety of works. Alongside the works, a number of familiar names can be found, such as Pzor, Jetso and Pork; names that will be seen at every stop of this tour, and frequently in between. After following the railway line to the intersection with Union Street, take a right back toward Chapel. Here you’ll notice a private home covered in murals depicting famous film characters and actors, including Liam Neeson and the cast of A Clockwork Orange. These legally painted pieces are a stark contrast to the illegally placed tags located just around the corner. 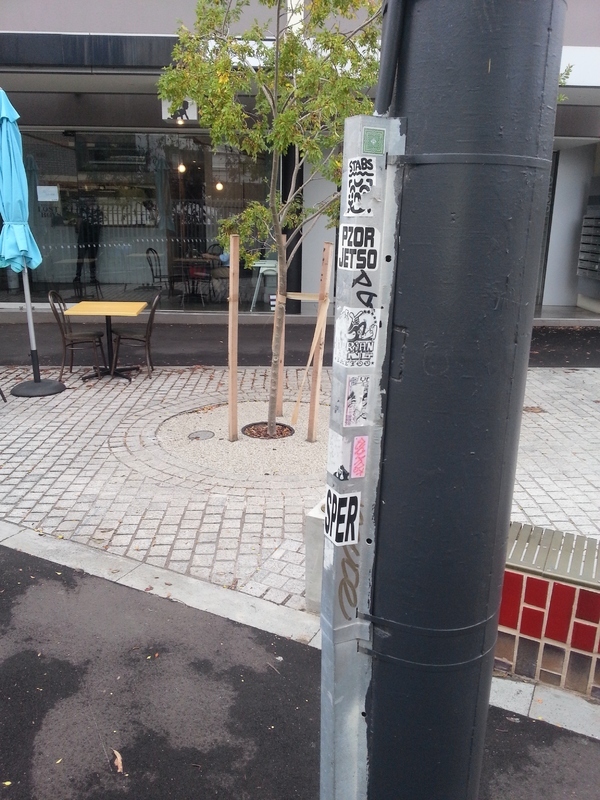 “Stop 1: Mothersmilk + Windsor Station,” Street Art deTours, accessed April 20, 2019, http://streetartdetours.com/document/938.